The picture we published came from this website. Since the license of the image was not clear, we removed it. Dave Swarthout inquired on the Tagging mailing list whether scenic=yes could be an appropriate attribute for rivers in the United States with the status “National Wild and Scenic River“. Esri has made available a new background layer “Esri World Imagery (Clarity)“, which restores some sharper but older aerial photos in the main OSM editors. Mapbox released a dataset of 10,400 turn restrictions at 5,200 road junctions. Machine learning vision models were applied to Bing Streetside imagery to detect the turn restrictions. Mapbox has acquired the rights to contribute this data to OSM. User Glassman tried to contact the company Milestone Inc. in Santa Clara (California) regarding low-quality OSM edits with the purpose of SEO (Search Engine Optimisation). As the company didn’t answer, Glassman tweeted about the issue. User Alexos set up a coordination page for the update of regional railway relations in Eastern France. The grouping of regional railway service under the new company “TER Grand Est” took place in September 2017. Till Adams features the app StreetComplete on the Terrestris blog. Andrew Wiseman from Apple has written to some of the South American mailing lists including the one for Ecuador that his company is willing to help improving missing roads, road connections and classifications or GPS trackings in these countries. For this purpose he has opened a project on GitHub. The nomination period for candidates in the OSM US board elections was extended so that more candidates could come forward. There are now six candidates for five seats. The deadline for submission of proposals for talks, lightning talks and sessions for the State of the Map 2018 in Milan, Italy (28-30 July) is 18 February. Papers for the academic track have a separate, later, deadline. The monthly mapping party of Brisbane, Australia will take place on February 10th in Beaudesert, one hour away from Brisbane. OSM was present at FOSDEM 2018 in Brussels (Belgium) with a meeting organised by OSM-Belgium and several talks in the geospatial devroom, for which both slides and videos are available. The January Humanitarian OpenStreetMap Team board meeting minutes are now available online. The Austrian communist-leaning blog “Unsere Zeitung” reported (translation) about the benefits of HOT and Missing Maps for Médecins Sans Frontières (Doctors Without Borders). From version 4.2.4, the “DJI Go” app uses maps from Mapbox. There’s a discussion on the DJI forum about how they compare to previous ones (from HERE and Google). The Heidelberg Institute for Geoinformation Technology (HeiGIT) has just made Openrouteservice APIs available on PyPi. Following on from the announcement of the shutdown of its services, Mapzen announces how long-term support will be handled for its maps, basemap designs, and the vector and terrain tile data. It also provides detailed instructions on how to update Mapzen-based projects with the new endpoints. The geocoding team is currently working on the successor to Mapzen’s Pelias, geocode.earth. Paul Norman continues his series of diary reposts from his blog, by describing how to download and build a custom style (here OpenStreetMap Carto) for OSM data. La Prensa published (translation) an article about the updates on the Nicaraguan public transportation map created by Mapanica, the Nicaraguan OSM community. 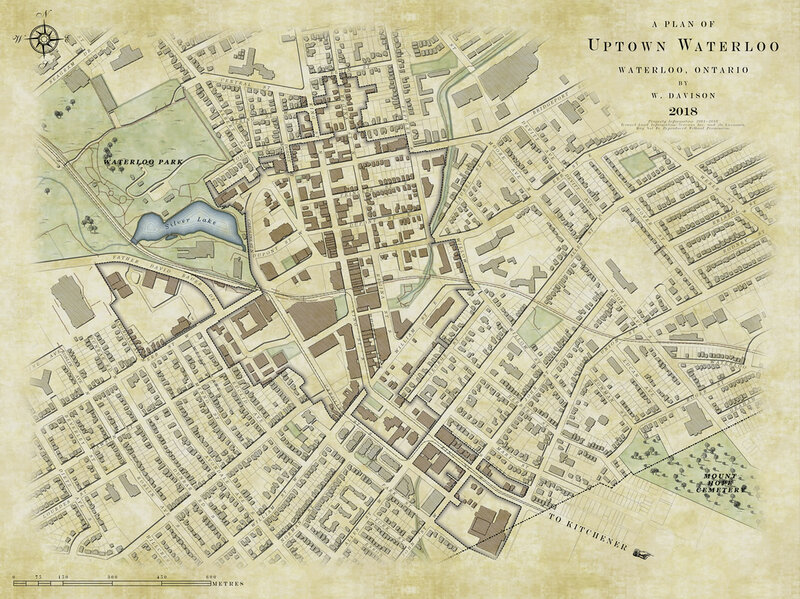 Warren Davison shows in Esri’s official blog how he designed a map of his hometown to look like a “historical” map. The Berlin Morgenpost newspaper lets you test your knowledge about the course of the Berlin Wall on a map created by means of Mapbox, OSM and Leaflet. An 1989 aerial photo of the Wall can be viewed afterwards. This weeklyOSM was produced by Anne Ghisla, Nakaner, SK53, Softgrow, SomeoneElse, Spanholz, YoViajo, derFred, jinalfoflia, marikoenig.